Workers Compensation Attorney in Michigan | Lansing Michigan area Workers Compensation Attorneys | Foster & Harmon P.C. If you have been injured at work or denied worker’s compensation benefits, you may be entitled to worker’s compensation. The workers compensation attorneys at Foster & Harmon, P.C., in Lansing, Michigan, have 30 years of experience collecting workers compensation benefits for their clients throughout Michigan and can help you take control of your worker’s compensation situation. To determine whether or not you are eligible for workers' compensation, we advise you to speak to your employer and then consult with our attorney who specializes in workers' compensation laws. When injured at work, you should give notice immediately to you employer, complete an accident report and contact an attorney. NEVER QUIT UNDER ANY CIRCUMSTANCES. If you quit your job you will give up any Worker’s Compensation claim you may be entitled. Your employer then has 30 days to investigate the claim and make a decision. Your employer has the right to schedule you for an appointment with the company’s doctor but also schedule appointments with your own doctor. All medical expenses resulting from the injury should be paid but make sure all medical records are furnished to the employer. Employers are required to pay the bill for injuries, regardless of fault. The formula to determine wage loss benefits in Michigan is 80 percent of an employee's after-tax salary. They benefit will be based on the 39 highest weeks of pay during the past year if employee’s pay check varies each week. You have been injured at work and have questions you need answered. Keep in mind that your employer has experienced attorneys working their behalf so you will want to obtain as much information as possible. You will need to be informed of your rights and Michigan Worker’s Compensation laws. Your worker’s compensation benefits have been denied. For either an initial request or an appeal to a denial an experienced Worker’s Compensation Attorney will file a petition on your behalf requesting benefits. 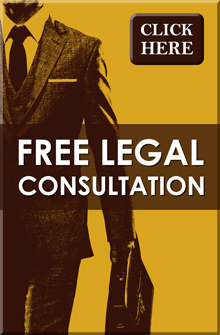 You attorney will obtain all medical records regarding the injury and discuss your ailments with your treating doctors. On some occasions your attorney will help you find the right doctor to best treat you injuries. After obtaining all required medical documentation your attorney will then try to settle your case with your best interest in mind. There are several different ways to resolve a worker’s compensation case including a trial, voluntary payment agreement or settlement. Your worker’s compensation benefits have been terminated. An experienced attorney will help you with the appropriate paperwork to help reinstate your benefits. 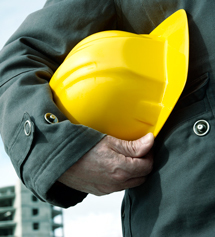 You would like to settle your current worker’s compensation case. You will want to contact an attorney to negotiate with your employer’s attorney to get the best settlement amount for you. Initial consultation with attorney to discuss facts of case and obtain medical information and records. Depending on the case try to contact the employer to negotiate a settlement. Request a hearing date from worker’s compensation agency which will either be a Pre-trial or Mediation. If the attorney and client decide to proceed with mediation which are preferred for smaller cases to try and resolve the case faster. If the claim is not settled in mediation it will be scheduled for Trial. During a Pretrial each attorney will furnish any necessary medical records not already submitted and decide on a Trial date, you are not required to appear at a Pre-trial. All relevant medical records must be submitted to the Judge and opposing counsel to review before the Trial. The majority of worker’s compensation cases are settled without the necessity of trial. If a trial is necessary a Judge will decide whether the employer/insurance company is responsible for paying your worker’s compensation benefits. If you are currently trying to determine whether you have a worker’s compensation claim with your current employer, please contact our office for your free phone consultation. All worker’s compensation cases are contingency cases, therefore if we don’t win your case we do not get paid.